Don't worry that it says "Install Windows." We're not going to do that. Verify your Language and Keyboard and click Next. 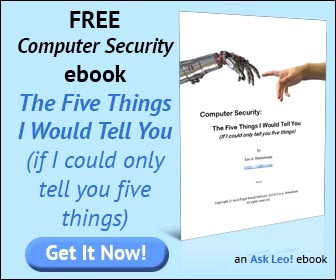 Do not click Install now. Instead, click the Repair your computer link near the lower left. The program will now examine your machine for installations of Windows. Chances are that you only have one installation, so simply make sure that it's selected and click Next. Click the Startup Repair link. This tool actually checks for several different types of errors that can prevent Windows from starting. After it's completed, it checks and performs any repairs. You'll be instructed to reboot your machine. This time, the boot should just work. 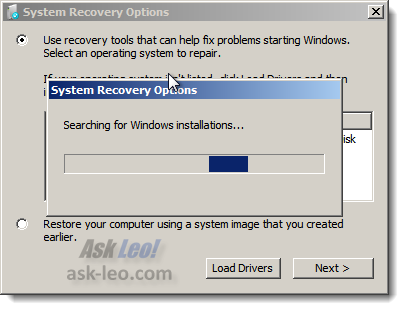 The repair option on the installation DVD is a good utility to know about. If your machine boots (or boots far enough), in many cases, you can also just press F8 before Windows itself starts loading at boot time to access the System Recovery tools. In this case, you don't need your installation media. Obviously, certain boot-related issues may prevent you from reaching this utility from the hard disk; in which case, you'll need that install DVD anyway. 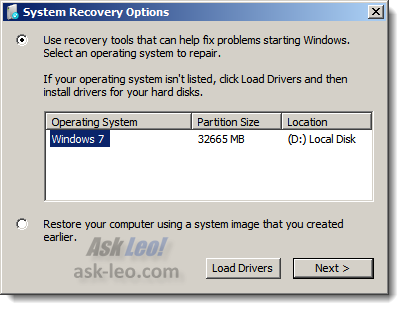 What is the Recovery Console, and how do I get at it? 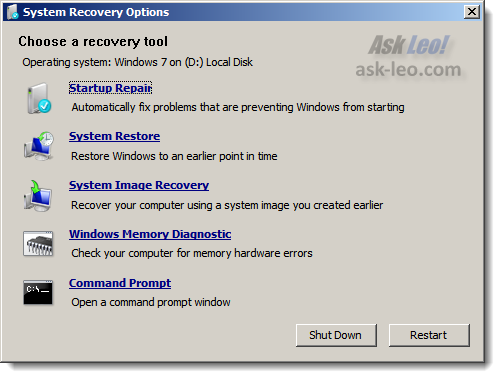 The Windows Recovery Console is an advanced repair tool that can in some cases help you to repair and recover from certain types of system problems. If you think ahead of time, you can create a System Repair Disc. You can also get someone else to create one for you. I believe that there are didn't discs for 32-bit and 64-bit versions of Windows 7. Originally when Windows 7 came you, you could download a free copy of the System Repair Disc but this is no longer possible. 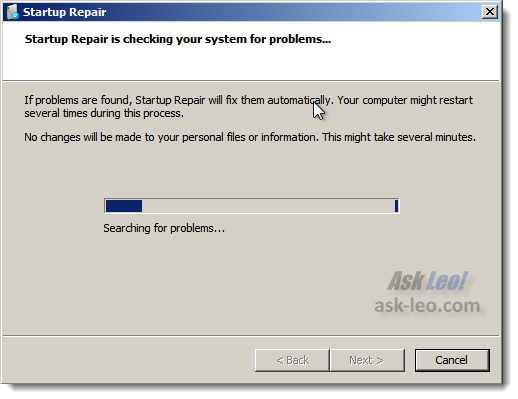 You may have to do the "Startup Repair" three times because the utility repairs one item at a time (out of 3 possible). Keep running it until you get the pc to boot. 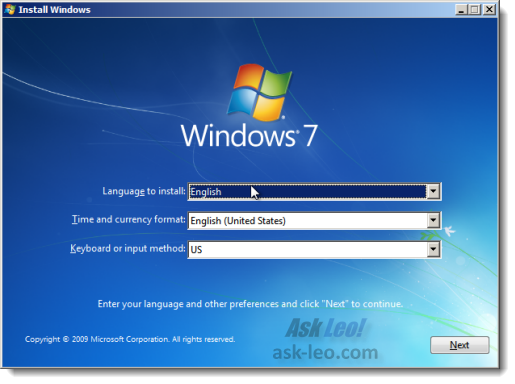 I have the windows 7 media disk for one of my computers, but we also have some laptops that use the same version but came without disks; can the one I have be used in one of the other computers if necessary? 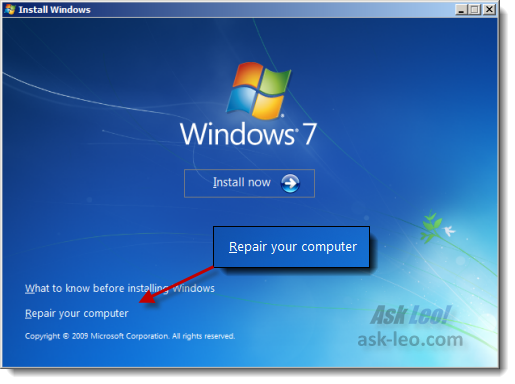 For the repair console: almost certainly - for a re-install or other update of Windows itself: maybe, it depends on if the editions and versions are the same. Thank you and I enjoy reading your e-mails. Another common is when you have added a backup disk and Windows tries to boot from it. You will get a message about NTLDR being missing. 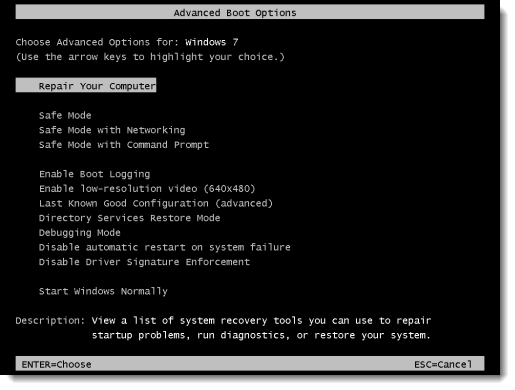 Just keep hitting ESC when booting and then select your hard drive to boot. You can then fix your boot order. My nephew had a problem booting up his new Windows 7 computer that he had gotten for Christmas. Can't remember the exact error message. I first thought it was a corrupted MBR and tried to fix it accordingly but in the end it turned out to be where he had plugged in his USB external hard drive. The computer was trying to boot of it. I went into the BIOS to change the boot up sequence so it wouldn't happen again.